A new podcast series from Monkeyman Productions. It is 2098. The Moonbase program, owned and operated by corporate enclaves back on Earth, has been determined unprofitable. The last base, Theta, is twenty weeks from being decommissioned. Most of the crew is in stasis awaiting retrieval. In a series of weekly broadcasts, Roger Bragado-Fischer, Communications, reports to management. He counts down to the scheduled end with a wry sense of humour, reporting on the crew’s progress, the frustrations and isolation caused by the shutdown, and the bits of beauty and hope still available. Each broadcast ends with a personal message to his husband, Alexandre, waiting for his return. Join our channel on the Podcast Junkie Discord! Support us on Patreon – $2 and up backers get early access to every episode! D.J. 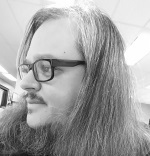 has been involved in theatre for over 25 years, and for the last ten years has been Monkeyman Productions’ Playwright-in-Residence and Business Manager – but this is his first foray into podcasting! Where do D.J.’s ideas come from? D.J. is inspired by monkeys, robots, cats, the Creature from the Black Lagoon, Bigfoot, that theme song from The Greatest American Hero, Arthur Kopit, 80s-era Justice League comics, various dystopias from his childhood (including Bible School), Lego spacemen, Alfred Hitchcock Presents (mostly the host segments), potato chips, Young’s Double Chocolate Stout, yellowed sci-fi paperbacks, friends, enemies, strangers in the night … and all things strange and wonderful in this world. Leeman Kessler is a Nigerian-born American actor who joined Monkeyman Productions in 2008 when he was cast as King Kong. 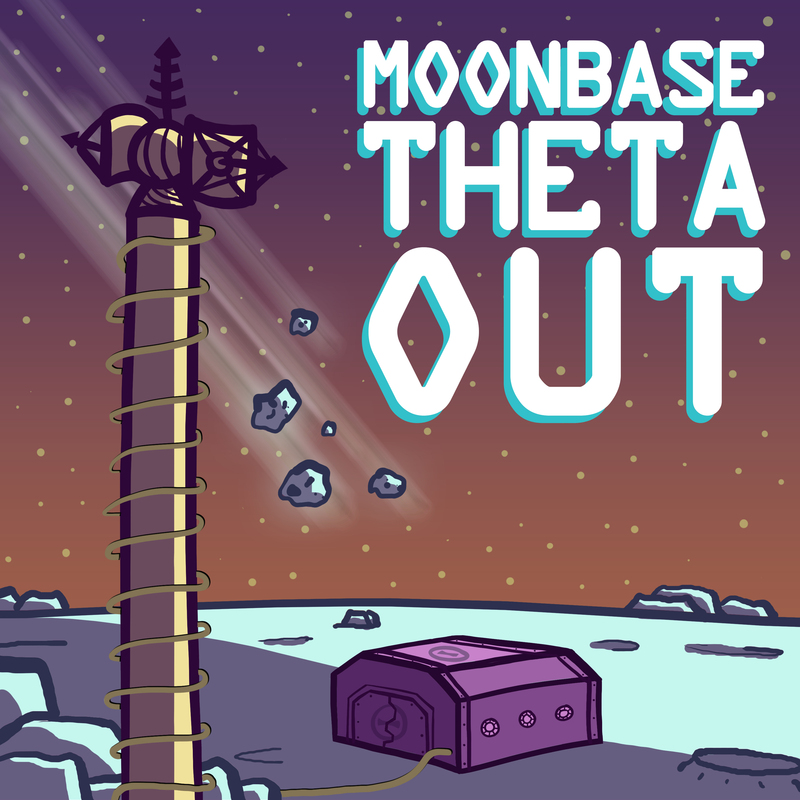 His decade-long collaboration with Monkeyman has seen him acting, directing, and producing, and now he returns to be part of this exciting new podcast serial, Moonbase Theta Out. 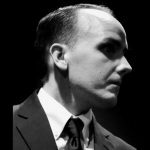 Listeners might also enjoy his long-running web-series Ask Lovecraft whose genesis began on the stage with Monkeyman and which was featured in the Toronto Fringe. He is patiently endured by his wife and two children. Theme music is “Star” by Ramp. Cover art created by Peter Chiykowski. 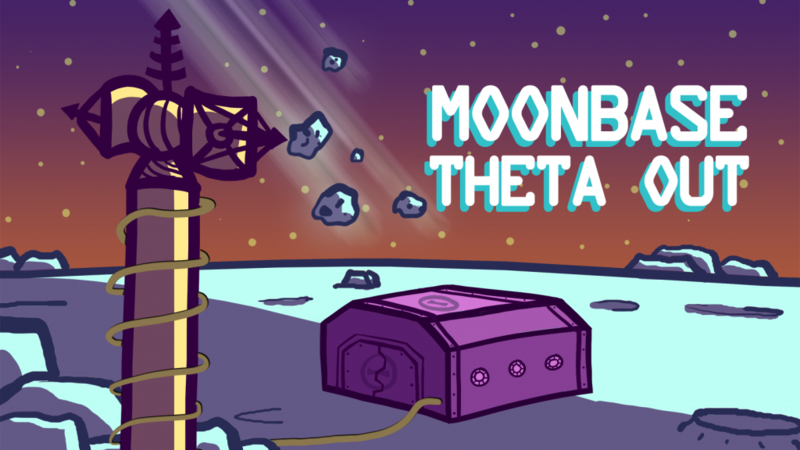 Sound effects used in Moonbase Theta, Out are from http://www.freesfx.co.uk.